Rosh Hashanah Challah. This is to symbolize the wish for a prosperous new year. 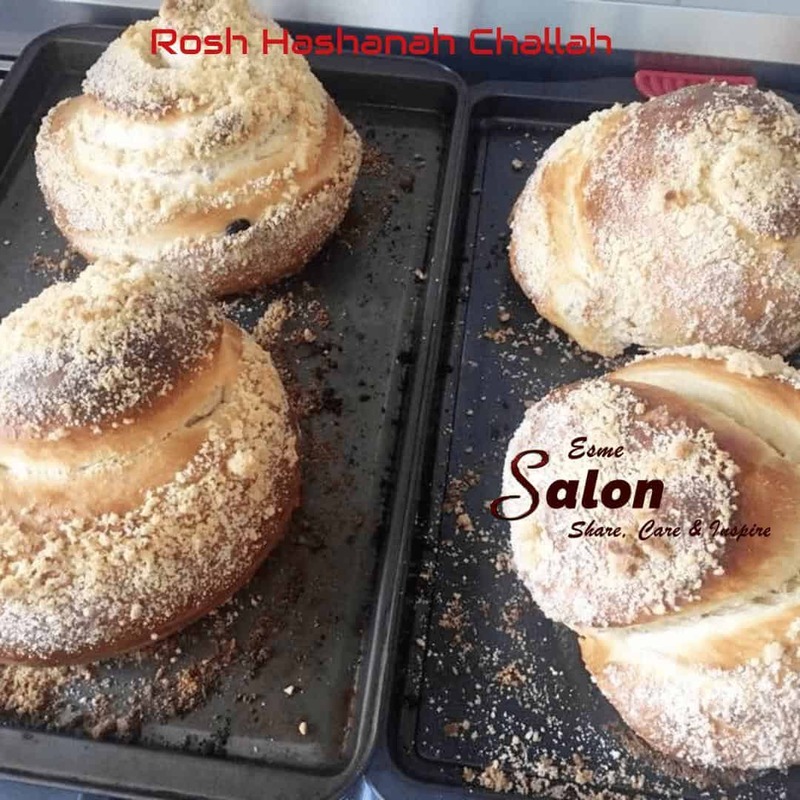 The traditional Jewish Sabbath bread, challah, is typically oblong and braided but on Rosh Hashanah, everyone serves a round challah to symbolize eternal life. Put all ingredients together and knead the dough. Allow to rise – double the size. Knead the dough and plait. Wait half an hour for them to rise further. Bake at 180C for approximately 20 minutes depending on oven. other plaited shapes with my mother. In ‘ buns’ like yours, turned into a circle or even straight lengths. Part of the ‘ 7 sort coffee parties’ 😊.